Dragon Ball, the legendary Japanese animated action-adventure show and manga, has acted as the gateway for anime to enter the American mainstream market ever since its transfer onto the Toonami section of Cartoon Network in the 1990s. The show, which follows quirky alien warrior, Goku, on countless adventures with his friends involving seven wish-granting orbs called Dragon Balls, was a massive success for American television and helped propel anime into the mainstream with its inclusion in television, video games, commercials, music, and eventually films. The latest offering, Dragon Ball Super: Broly was released in U.S. theaters on January 18, and since then it has perform incredibly well and is on the verge of breaking more than a few box office records. As of January 27, Dragon Ball Super: Broly has amassed $28,222,444 at the U.S. box office with a worldwide total of $98,356,470 so far. The film has remarkably already exceeded the box office takings of the live-action Dragonball: Evolution, which pulled in only $9,362,785 in total U.S. dollars during its 2009 run and a worldwide total of $57,497,699. Compared to other anime releases, it currently ranks number 3 behind Pokemon: The First Movie and Pokemon 2000 respectively. This may be partly due to the limited release strategy of Dragon Ball, and most other anime films. The films normally open in only select theaters nationwide for a total of 1-2 weeks, focusing on big cities and theater chains in order to ensure a profit. Up until now, this strategy nets mixed results in the U.S., but Dragon Ball Super: Broly, opted for a similar strategy for its release, but in a slightly expanded nature of just over 1,000 theaters. This was a bit of a gamble with the highly anticipated thriller Glass making its worldwide debut the same week, but it seems to be paying off. The critical consensus has been that Dragon Ball Super: Broly is a solid, entertaining, and well-animated movie that fans and even newcomers should enjoy. The movie also goes back to the origins of the Dragon Ball tale, opening up a lots of interesting narrative possibilities for the franchise. 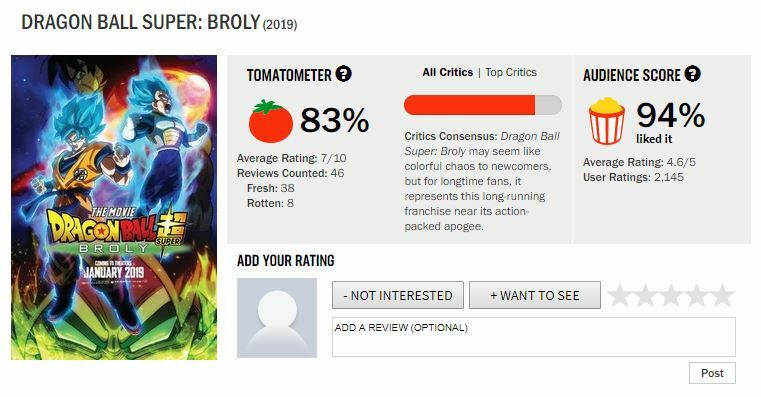 This update, along with creator Akira Toriyama having reworked Broly in this iteration into something a bit more sympathetic could be pushing audience scores on Rotten Tomatoes even higher than expected. 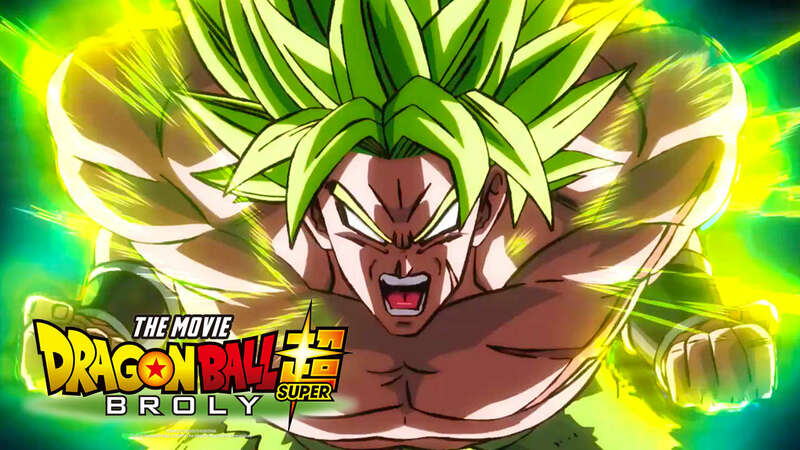 The Broly character has long been popular with the fans and the Dragon Ball franchise is even popular by its name alone, but the success of this latest film could prove that anime is an art form that is quickly becoming more appreciated with a more mainstream audience.